iOS 8 is a fantastic update for most iPhone, iPad, and iPod touch users with tons of excellent additions, feature enhancements, and great changes. Sure, some users are resistant to change and there may be some annoyances, but for the most part iOS 8 adds so many positives that it’s hard to imagine going backwards. We’re going to highlight five of the greatest features of the new iOS release that pertain to everyone, none of them require the purchase of a shiny new device to enjoy. If you’re running iOS 8 on anything that supports the release, you’ll find them available to you. Ever wondered what exactly was eating up your battery life? No more guessing games, iOS 8 will tell you exactly what apps are using your battery, and how much they’ve consumed over the past 24 hours and the past week. Now you know exactly what’s causing your battery problems, no more guessing! 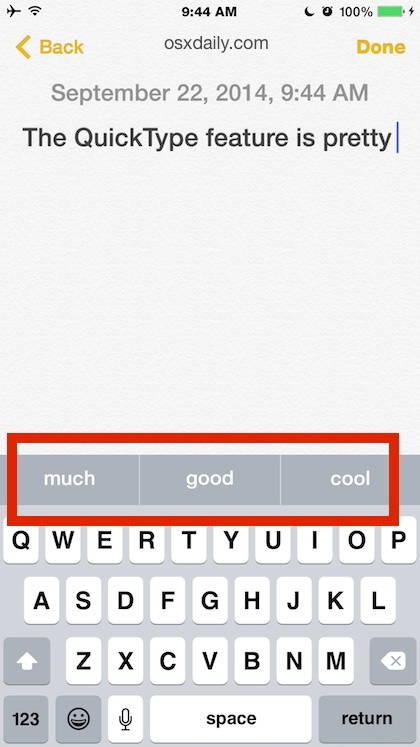 The QuickType bar sits across the top of your iOS 8 keyboard and uses predictive text and autocorrect to guess what words are to be typed or corrected. Select the word you want to correct to or type out and it appears instantly. It takes a little bit of practice to really get down, but it becomes incredibly useful once you do get the hang of using it. Get in the swing of things and you’ll soon be wondering how you ever typed on these keyboards without QuickType. If you take a lot of photos with your iPhone (or iPad) then you’ll find the improvements made to Camera app to be both awesome and very welcome. Between the all new time-lapse feature, improved slow-mo, exposure control, the timer, and the huge assortment of tools that allow for direct editing of pictures from Photos app, there is much to be loved with the Camera improvements in iOS 8. Open the Camera app and explore, the obvious additions are right there, while some of the finer details like photo adjustments are accessed through the Photos app extensions. Messages has a ton of new features and conveniences, ranging from the new Quick-Reply feature accessible from inbound Notifications, to the instant-picture sending feature and the ability to transmit audio messages. To use either the instant picture sending function, or the audio message tool, just tap and hold on the Camera or Audio icons next to the reply text input box. Super easy. 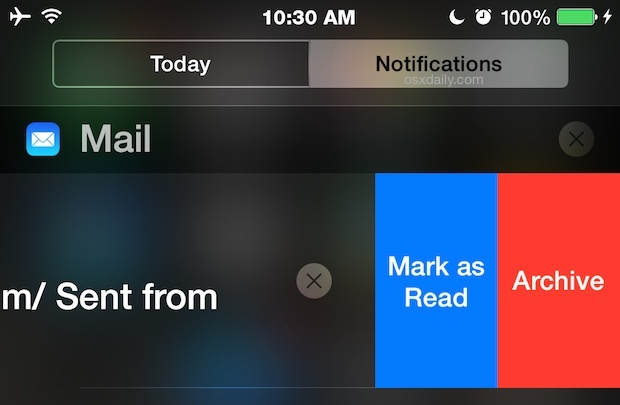 Notification Center of iOS 8 has become interactive, letting you swipe to dismiss specific notifications, archive emails, mark new email as read, end alarms, reschedule reminders, and oh so much more. That means you no longer have to tap on a notification to head to the app to address the alert, you can handle much of it right from the lock screen of your iPhone, iPad, or iPod touch. Using the new interactive Notificaitons are a piece of cake; just swipe left on a notification item to bring up the options specific to that notification. The available choices vary per app. 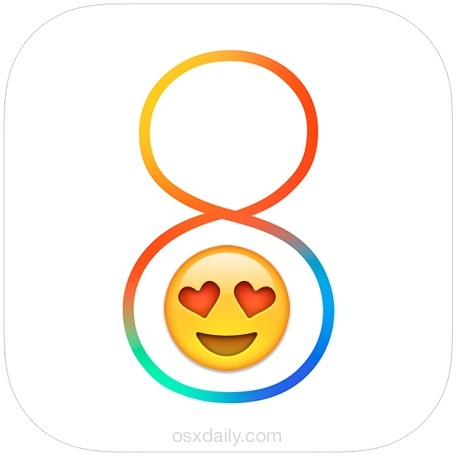 Do you have another favorite feature of iOS 8? Let us know in the comments! Extensions will probably become a great feature, right now they’re maybe too new so not much is updated for them yet. Speaking of, I keep reading about Extensions in the Photos app for direct iMovie editing with video, and Extensions from image editing apps, but it’s not visible for me anywhere. There’s no Extensions Settings screen either. So while this Extensions feature could be great, it’s obviously confusing to use and figure out. Has anyone figured out how to actually add or use Extensions in any meaningful manner? How to control what you see and where? Where the heck are the Photos extensions? And uh, what else is in iOS 8? It feels like a very minor release. My impression is that they are kind of integrated everywhere. For example in the notifications screen, I used the edit button at the bottom and added Evernote and Yahoo Weather to the notifications screen. I can add a note, or take a photo, etc that goes into Evernote right from notifications. Pretty slick implementation. I think you are right, in a couple of months, you’ll see as deluge of apps that use extensions, when developers start to see the potential, and add the functionality or publish extensions. There are different types of extensions – I don’t use iPhoto or iMovie much so I’m not sure about that. It is a little confusing, but fortunately, I think the better implementations will just work like features without users ever needing to understand that they are using an extension. iOS will just seem more melded with the apps seamlessly. The Quick Keyboard suggestion area is whacking out text fields when in Landscape mode. I use it often though. It’s quicker than typing out a full word sometimes. The button photos at the top of the screen, appearing after double-clicking the home button, are a feature for more personal options in Preferences, too. My iPhone 5 also is slower opening apps, and generally, occasionally sluggish in operation. Otherwise, iOS 8 is OK.
How do I change the personal options for the button photos? Maybe it’s a well-known feature for you, but I found it out by accident right now. Holding down the + Button (for opening a new tab) in safari a list opens of he recently closed tabs. It’s even possible that this function already exists in older iOS versions. As I said for me it was a unknown feature. 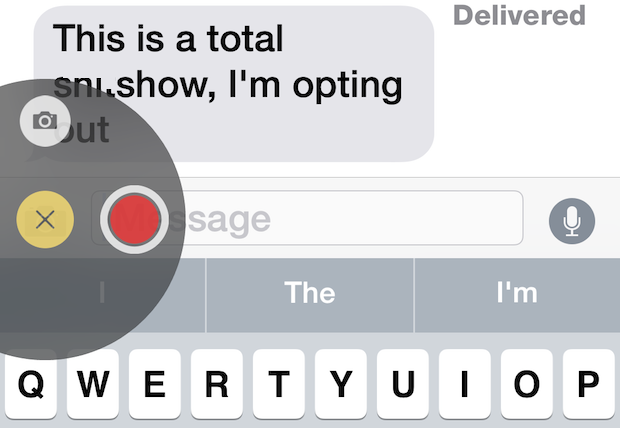 Camera app, keyboards, and messages are the two big changes. Everything else is not noticeable. Deleting email from the lock screen seems like a security issue to me. Isn’t that defeating a reason for a “lock” screen? I sure hope it can be turned off. Actually you have to enter your pin code. Was there an option of iMessaging / messaging contacts that don’t use ios or osx? I thought I read somewhere that I would be able to use iMessage in osx to message contacts that are outside of the Apple ecosystem. Pros: Really liking the battery usage per app. Neutral: Don’t use messages and barely use notifications, so can’t comment on those. Haven’t used the new camera app additions get, but they sound like they’re going to be great. Cons: The QuickType keyboard bar is a waste of precious document real estate and the predictive typing function is still in its infancy. I find it’s annoyingly wrong more often than not. Consequently, I quickly turned off QuickType. You might find, as I did, that QuickType is initially annoying, but give it a chance; it does learn from me (or at least I think it is). But my eyes having to flash back and forth from the keyboard is irritating. Start a word with a couple of letters, glance at QT…nope, not yet…typo another letter or two, now it’s there, move my finger. I’m having trouble training myself to look back and forth and since nobody can touch-type on iOS (can they??? ), EFF (you heard it here first, folks: Eye Flicker Fatigue) can quickly slow the process. I like the predictive text. It’s the ONLY thing I liked about my windows phone, a Nokia 920. 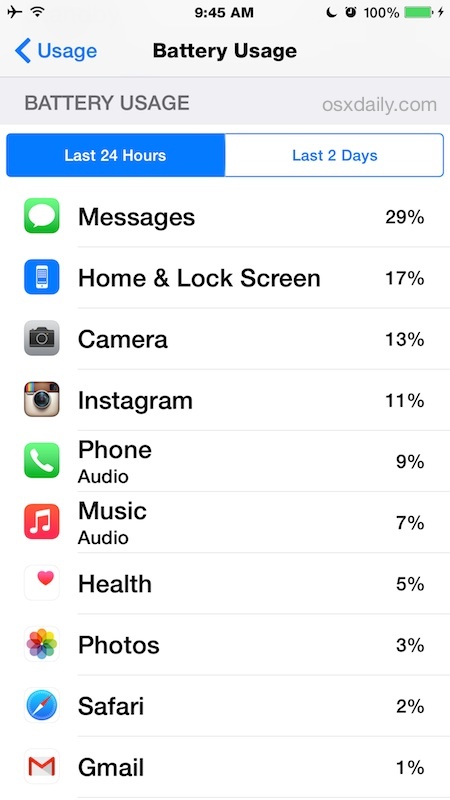 The ‘battery usage per app’ feature is sweet. I often wonder where my battery goes. I don’t use notifications and I never thought the camera UI needed fixing though the improvements will probably thrill a lot of shutterbugs and social media enthusiasts. I don’t really use the camera all that often. That’s what I think about that. When ever I need to type with just one hand, my reasonably long typing-thumb struggles to comfortably reach some App icons on the top row of the meaningfully taller iPhone 6 (Steve Jobs was right). Try COOL iOS8 FEATURE #1: iOS8’s “Reachability” option in General > Accesability brings down the whole top row so that you can easily reach every icon (works with a very light, double “tap” of the Home Button rather than a double “hard-tap / press” of the Home Button). At least one brilliant feature that Steve Jobs may not have considered. Also, COOL iOS8 FEATURE #2: When initially setting-up iOS8 on a new iPhone 6 (maybe previous iPhone models as well) you are given an option to select a “Zoom” sized Home Screen; this results in a perfectly normal looking Home Screen with closer-proximity, but significantly larger icon buttons for your Apps as well as substantially more legible text font (perhaps, for your devoted 45+ yearold audience, including me). Hat trick opportunity: If you must wear reading glasses, but happen to forget them when you need to read small text or fine details on the iPhone, there is COOL iOS8 FEATURE #3 (actually previous iOS feature, but how many iOS users know this trick I use? ): Select an additional “Zooming” function in General > Accessability so that you can dynamically zoom-in on any screen with three fingers to bring small text up to legibility range without using reading glasses. Though the execution of this third handy function could be vastly improved by Apple’s iOS team, it works in a pinch when you forget your reading glasses (a post-45 prerequisite, eventually, for a large portion and growing/aging group of iOS using readers of OSX Daily). Hope these three features help out a lot of people. These are great tips! The legible text situation applies to many age groups, I think anyone who doesn’t have great eyesight can have a hard time reading some of the small text on iPhone screens, myself included! Larger text, bold text, and Zoom Mode are excellent for readability in iOS 8, especially on the new larger screen iPhone 6 models. The QuickType keyboard only appears from time to time when I write messages. Should I “activate” it somehow?